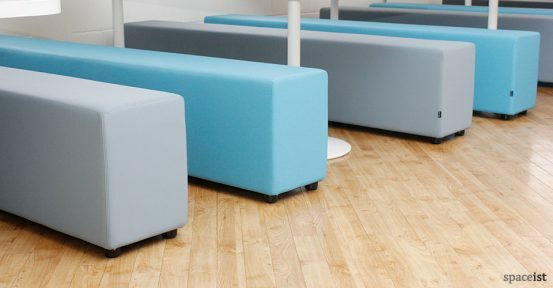 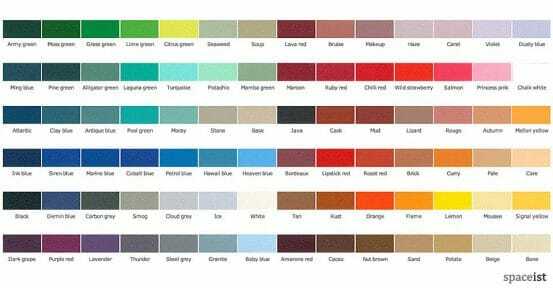 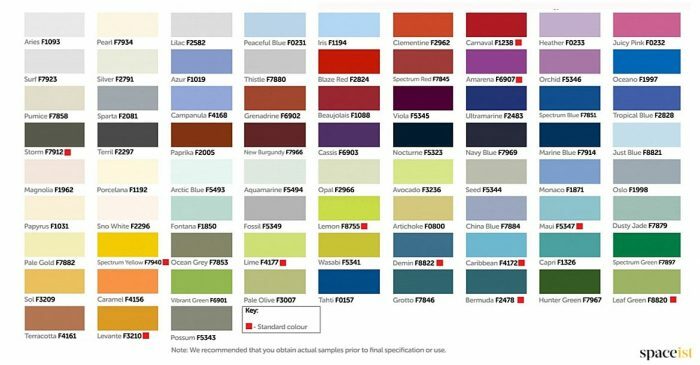 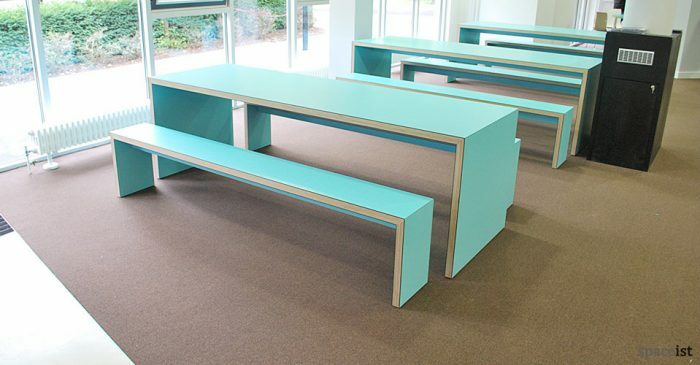 Categories: Canteen benches, Canteen benches, Canteen tables, Canteen tables & benches, Staff canteen tables, Canteen furniture, Canteen ranges, Canteen ranges, Soft-bench canteen range, Soft-bench canteen range, Soft-bench canteen range, Canteen ranges. 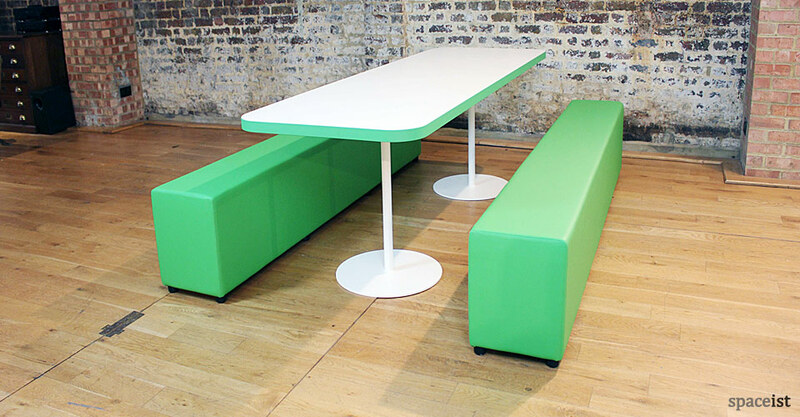 The Soft-bench canteen dining set comprises two long bench seats in a choice of easy maintenance faux leather vinyl. The dining table top has a distinctive rounded corner finish edged in 40mm high impact ABS in a choice of contemporary colours. 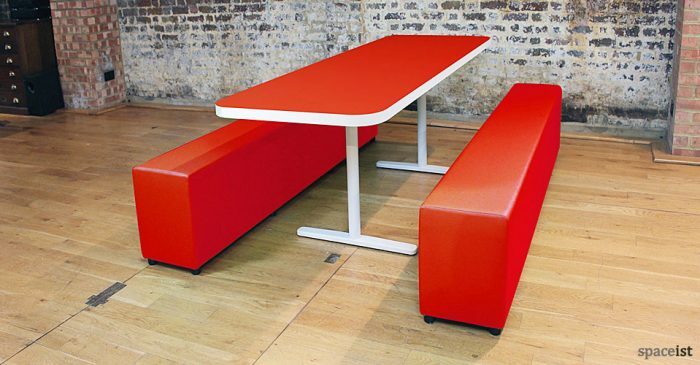 The top is finished in hard wearing Formica laminate and can also be supplied in a choice of colours. 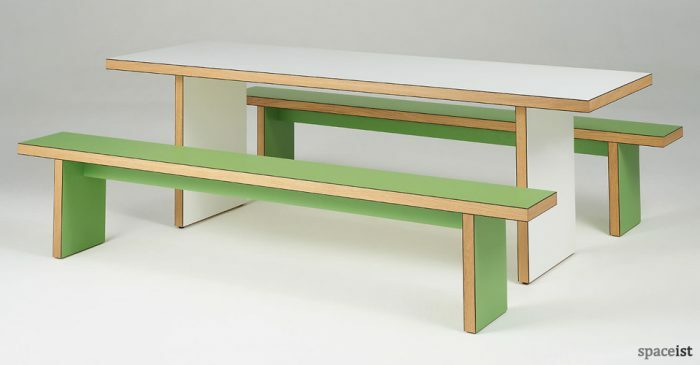 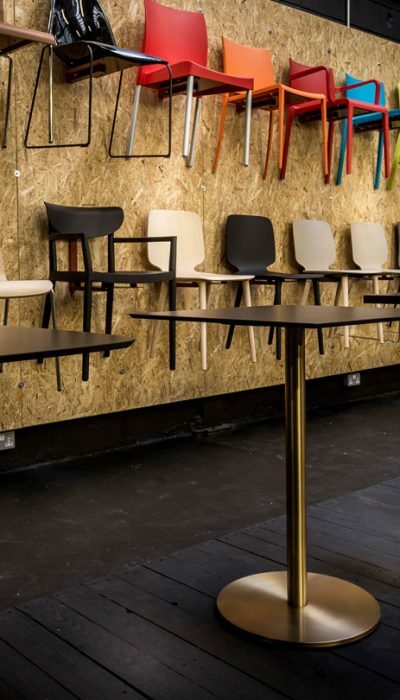 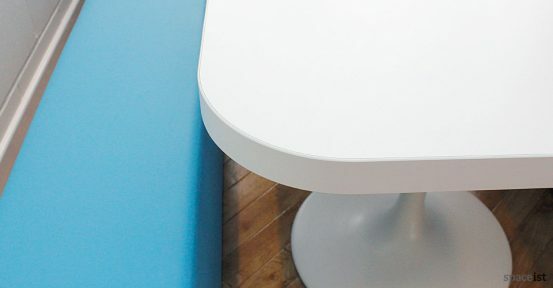 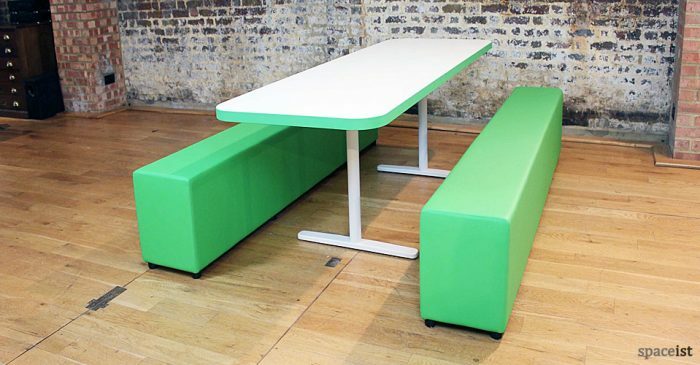 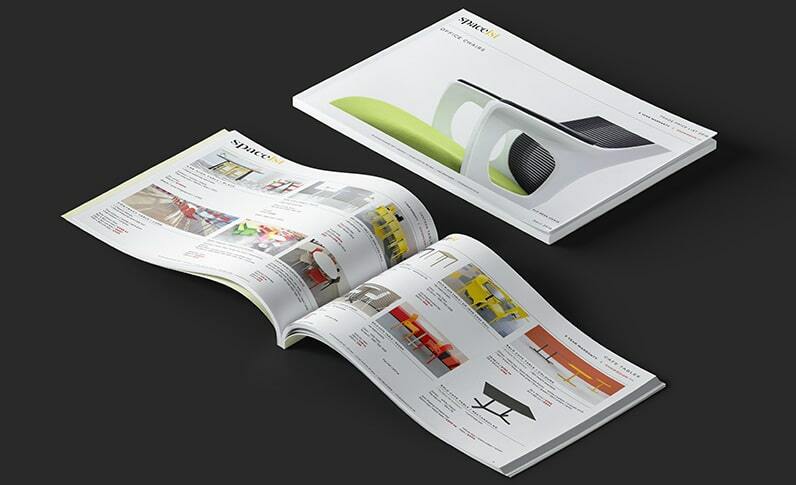 The Soft-bench range offers a variety of table base options in a number of finishes.